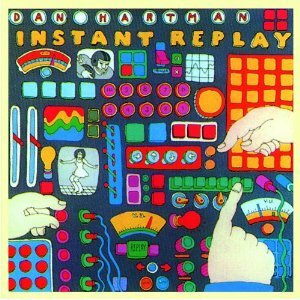 "Instant Replay" by Dan Hartman was a disco hit in 1978. This song made it to 29 on the Billboard charts. This is a great example of 1970's disco dance music. It is a really fun song! Dan Hartman wrote and produced music for many other bands, both before and after this hit. He worked with: the Edgar Winter Group (he wrote "Free Ride"), James Brown (he wrote "Living in America"), Tina Turner, Dusty Springfield, Joe Cocker, Bonnie Tyler, Paul Young, Nona Hendryx, the Plasmatics and Steve Winwood. Sadly, he died in 1994, but he left a legacy of some great 1970's - 1980's music behind. I found a video of this song from the 1970's that I thought you might enjoy - this was the early day of music videos! Do you remember this tune? Do you like disco music? I'd love to hear from you in the comments, below. I'm definitely not a disco person, but in general I LOVE music! I grew up listening to the classic rock my dad always had playing on the stereo. I still love rock, and listen to a lot of country as well! Thanks for stopping by, Erin! I also grew up with a variety of music in my family and enjoy lots of different music genres.